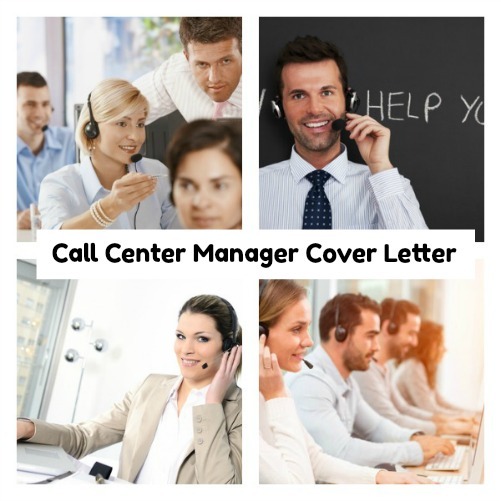 What should you include in your call center manager cover letter? Articulate those skills and strengths that make you the right candidate for the specific job opportunity and create an effective marketing tool for your job search. Make sure your call center manager job application gets taken to the next level with a convincing cover letter. This sample cover letter is a good place to start. Simply adapt this cover letter for your own specific use. Your recent advertisement for a Call Center Manager has captured my serious interest. I am confident that my X years experience as a successful and goal-driven call center specialist will provide the capabilities you are looking for. I am forwarding my resume for your review and consideration. Effective support, development and guidance of a front-line customer contact team of X diverse individuals to create a positive and motivational work environment. I have proved and continue to prove myself as a high-energy professional with an unrelenting focus on delivering and improving the customer experience. A passion for developing my team coupled with strong motivational skills have resulted in increased overall employee productivity and satisfaction. I would welcome the opportunity to meet with you for an in-depth interview to discuss the contribution I could make to your company. What makes a call center manager successful? These are the core competencies that have been identified for effective job performance. In your call center manager cover letter focus on the relevant competencies demanded by the specific job opportunity you are applying for. These will be the right keywords to use in your cover letter and resume.